In addition, he co-directs the Marian S. Ware Alzheimer’s Program established in 2004. 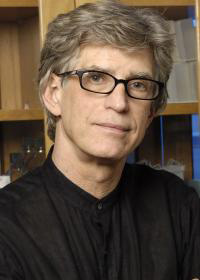 He is the principal investigator on the Penn Biomarker Core of the NIH/NIA Alzheimer’s Disease Neuroimaging Initiative (ADNI), a landmark study launched by the National Institute on Aging to find methods for monitoring the progression of AD and improving methods of imaging, and the validation of biomarker data. Dr. Trojanowski is responsible for the neuropathology cores in several studies in collaboration with Alzheimer’s Disease Centers across the nation and Parkinson’s disease research projects. Dr. Trojanowski’s work is exclusively neuropathology research-related; he does not conduct patient appointments.